Work was particularly tedious today. I work at a large bank and one of my job functions is to provide MIS and statistics where we've never had me before. This involves lots of digging through various disconnected databases and figuring out how best to connect them. It can be mentally draining. All I want to do is sleep, but I promised myself that I would work on the Wave Serpents. The first is assembled, but needs to be based. I'll probably assemble the second tonight. If I'm diligent, I might be able to have the army prepared for my weekly battle with my buddy Steve. I had 38 points left over when building the army list. Until I think of something better, that 38 points is going to be a single Crisis Suit with dual flames and the wargear option that lets you bring in outflankers from any table edge within 6". Depending on how that works out, I might scrap it and add upgrades to another unit. Also... 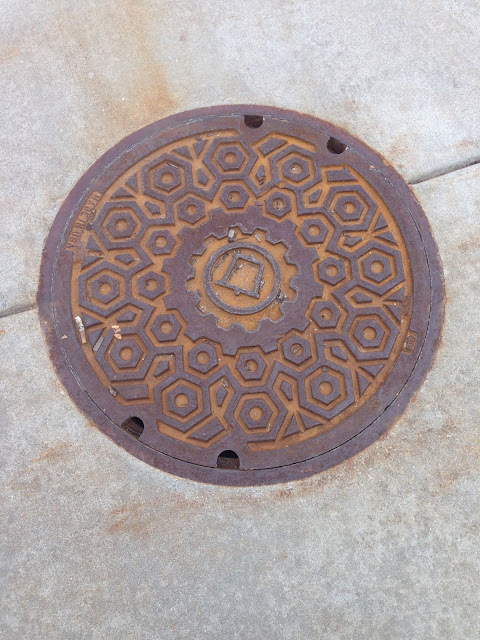 Saw this and thought it was a cool rust effect in the real world.